President Trump is brushing aside concerns about North Korean leader Kim Jong Un’s human-rights abuses as he seeks to broker a nuclear deal with the young autocrat. Asked about his decision to negotiate with a known “killer,” Trump praised the 30-something North Korean for being a “tough guy” who managed to take control of his country at a young age. Trump went on to call Kim a “very smart guy” and a “great negotiator” in the interview, which was aired Wednesday. “I think we understand each other,” he said. Trump has faced worldwide criticism for his lavish praise of Kim, which came after a contentious Group of Seven summit during which he ripped U.S. allies. Human Rights Watch last year labeled North Korea “one of the most repressive authoritarian states in the world.” Kim is accused by the United Nations Human Rights Council and watchdog groups of carrying out public executions, arbitrary detention and forced labor, torture and persecution of those with religious affiliations. Just last year, Kim was also accused of orchestrating the execution of his half-brother at a Malaysia airport with a banned nerve agent. 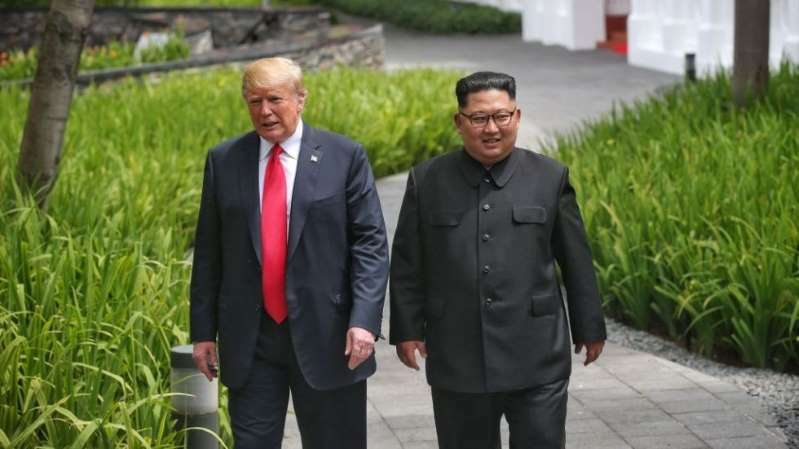 Trump said he raised the issue of human rights “briefly” with Kim during their nuclear summit in Singapore. The president's comments echo his response during a Feb. 2017 Fox News interview to a question about Russian President Vladimir Putin's human-rights abuses. Asked by then-anchor Bill O'Reilly why he respects Putin, given that he is a "killer," Trump said, "there are a lot of killers. We've got a lot of killers. What, you think our country is so innocent?"